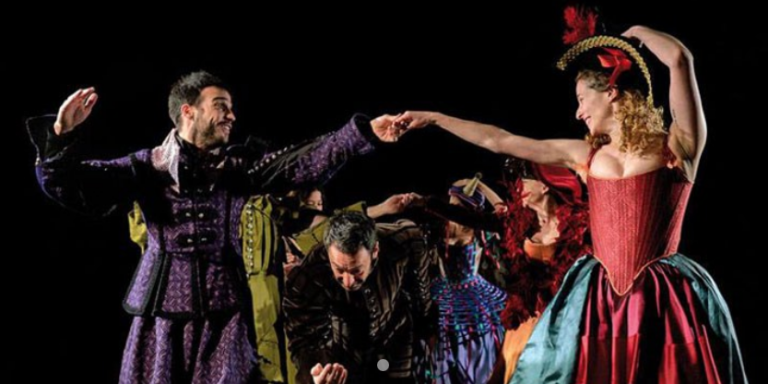 Until June 3, 2018, you still have the chance to see at Teatro de la Comedia the adaptation directed by Josep María Mestres of a Spanish literary classic: The Trickster of Seville. The original play by Tirso de Molina, adapted by Borja Ortiz de Gondra, revolves around the legendary figure of Don Juan, which has inspired many writers and musicians throughout the centuries. The plot presents a young nobleman who seduces Duchess Isabela in Naples, pretending to be her boyfriend, the Duke Octavio. When he is found out, the nobleman ends up in the King’s bedroom, which results in him being chased by the royal guard, lead by his own uncle Don Pedro Tenorio. “Don Juan is, above all, an anti-hero who breaches all laws, human and divine, and breaks all codes of conduct.” stated the director during the presentation of the play. For him, Don Juan is the “ultimate wrongdoer” who ever existed due to “having challenged humanity, politics, religion and society”, from which he highlights his psychopathic character due to the lack of empathy for his victims. The cast includes Pepe Viyuela in the role of Catalinón, the protagonist’s servant; and his son Samuel Viyuela as Don Juan, with Álvaro Luna and Clara Notari in charge of the video scene and scenography respectively. The play lasts for 1 hour and 45 minutes and ticket prices range from 6 to 25 euros, with performances taking place at 7.00 p.m. every Tuesday and Sunday and at 8.00 p.m. from Wednesday to Saturday.